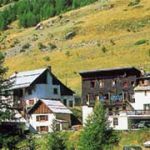 Cottage in an old renovated farm of a, in the mountains situated, hamlet. Dinning-room with great fireplace, living room, TV, library, bar, washing machine, Finland sauna, shelter. 14 bedrooms (for 2-4 pers.) with showers, WC, central heating, terrace, sheets provided. Reception of riders, many activities on the spot. These accommodations meet with very strict regulations concerning the environment, and are testify to the practice of responsible tourism. The 'Ecogîte' accommodations use renewable energy and are equipped with energy saving devices, they practise recycling and manage water resources. 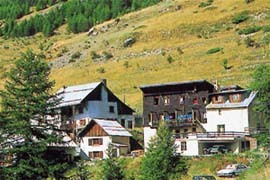 In an independent building located in a hamlet of mountain, in the heart of the Regional Natural Park of Queyras, the owner, was able to integrate the principles of sustainable development and environmental performance in its activity by completing the insulation and installing a boiler performance wood for production of sanitary hot water and heating. The management of water and waste, as well as the promotion of the products and local resources complement this approach. In this high Valley location allows access to some outstanding mountain ecosystems characterized by an original and varied flora and fauna. Free or accompanied hiking tours are offered from the cottage.